India brown ale on the way! On Friday our third test batch was brewed, this time an India brown ale. The beer will be brewed to celebrate Halvor Kittelsen Elle’s ten-year anniversary as a bartender at Henrik Øl og Vinstove, and if God is willing, pigs don’t fly and the Creek don’t rise it will be on tap there later this fall. 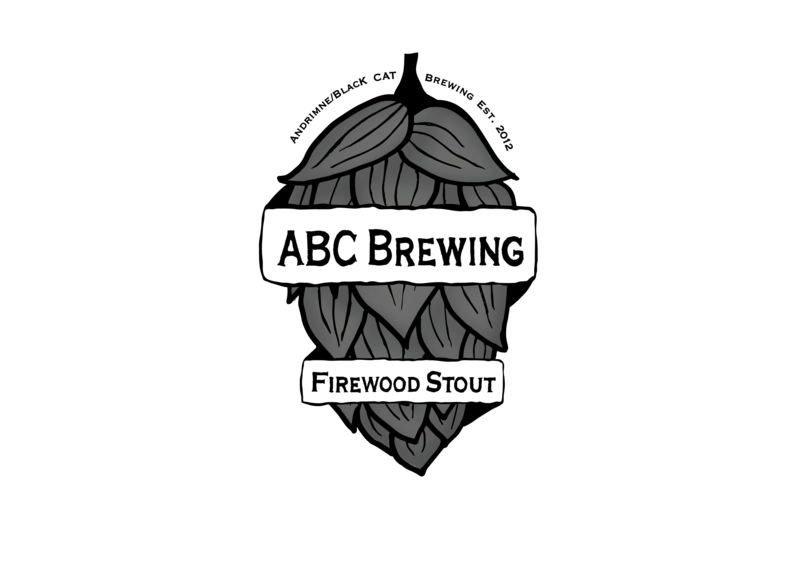 It packs a nice punch of both malt and hops, with Special B lending notes of dark fruit to the beer, while brown and chocolate malts provide a subdued but complex roasty character. A healthy dose of demerara sugar gives it a nice and dry finish. We’re going back to the roots with the hops and use Cascade for both flavor and aroma. 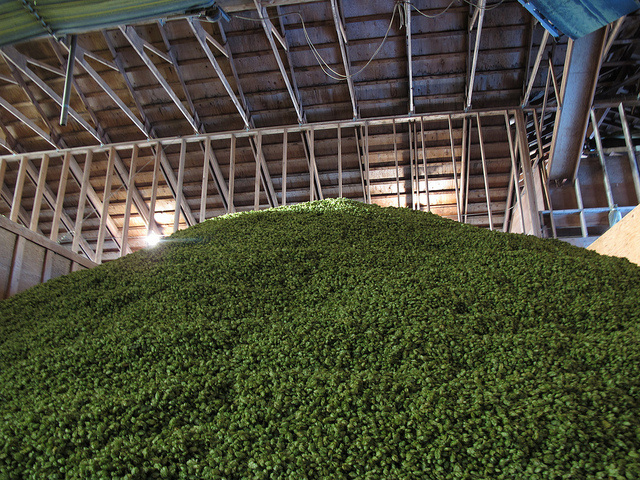 Our trusted companion, Chinook, is used both for first wort hopping and as a dry hop together with some more Cascade. While the hopping is not as aggressive as in our imperial amber, the pine and grapefruit tones are powerful enough to stand up to the rich maltiness on offer in this ale. The trusty WLP001 yeast from White Labs does the most important work in a cool fermentation that really leaves room for the malt and hops to shine. We are big fans of Blichmann brewing gear, and use a number of their products in our test brewing. 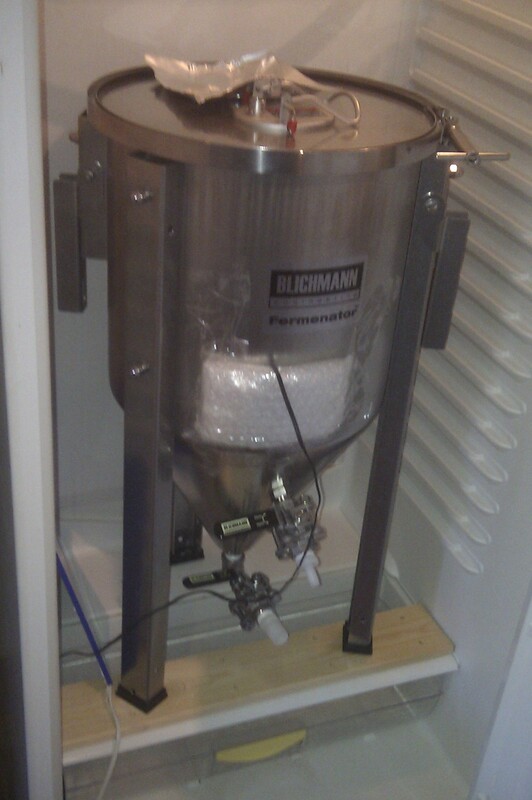 This time yet another piece of equipment from Blichmann was put to use; a brand spanking new seven gallon Fermenator. While it is highly doubtful that it will make the beer any better, it sure looks nice and makes harvesting yeast a breeze. Thank you John Blichmann! 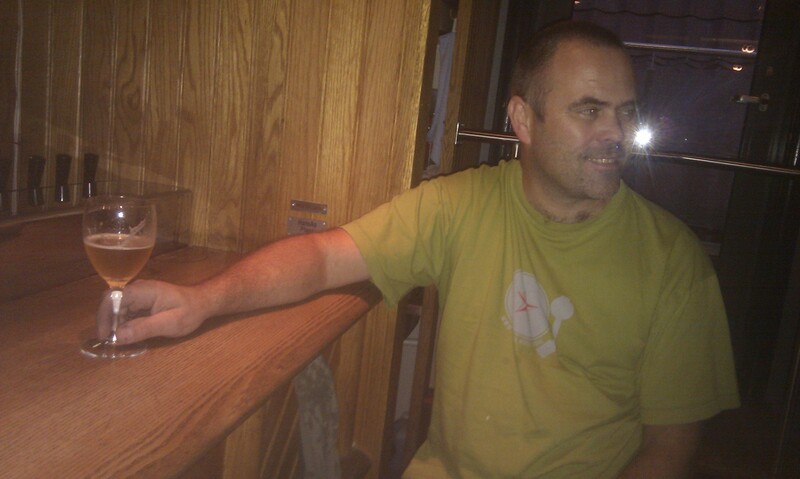 Johnny is very pleased with the new brew. Yesterday the guys at Henrik Øl og Vinstove gave Supermax Lager the final green light. 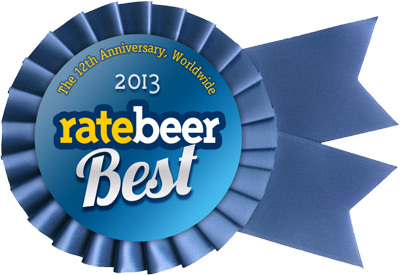 Although we were already really happy with the beer ourselves, it’s always nice to know that our ideas hit their mark. “Just what I hoped for“, bartender and beer enthusiast Halvor Kittelsen Elle said. Owner Johnny Ve was no less happy; “We can sell quite a lot of this,” he said with a smug smile on his face. 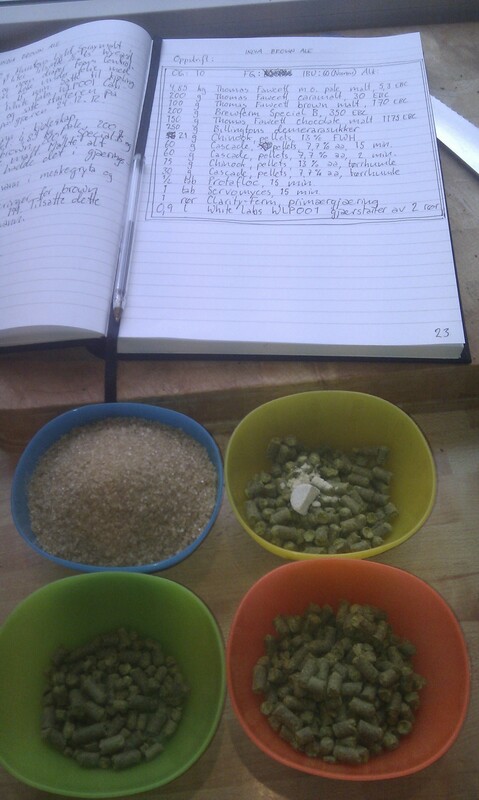 Hopefully this Simcoe and Amarillo driven lager (there’s also some Chinook in there, of course!) will be brewed sometime before Christmas. It’s exclusive to Henrik Øl og Vinstove, so Bergen is the place to be. If you can’t make it to Bergen, beer kits will be available for home brewers at Bryggselv.